Happy first day of summer everyone! It is officially time to celebrate the sweet summer air and freedom. I hope this summer is filled with adventure, relaxation, and love. Summer is the time to explore and travel to places that you have always wanted to visit. The perfect summer outfits are always based on comfort for me. Whether it is a romper, dress or shirts & a t-shirt, there is always a way to be comfortable and look cute simultaneously. 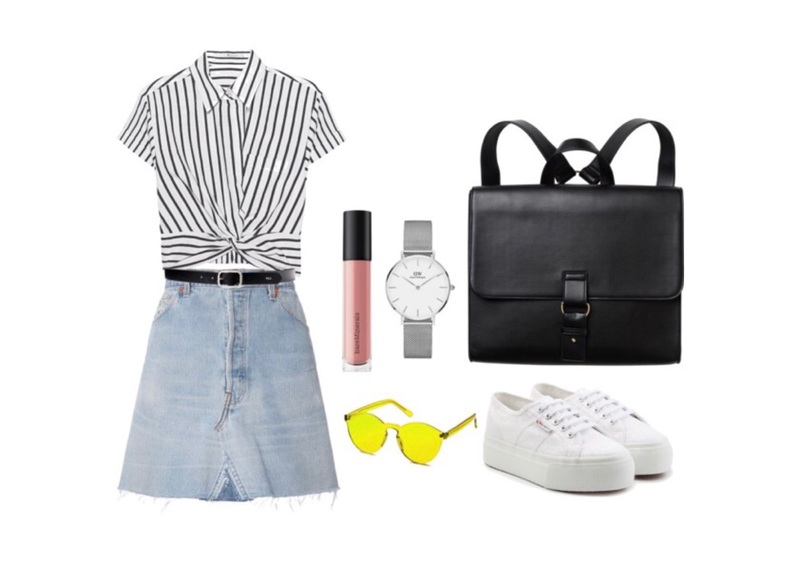 Here are outfits for the transition into the first couple of days of summer! Denim skirts are and have been the major “must have” for the past two seasons. They can be paired with anything. Whether it is going out to a nice dinner or driving to the super market, it is appropriate for almost every occasion. Summer nights can get a little cold at times. That is why you could never go wrong wearing pants on a night out. These flowy, cropped pants can make your night a little more fun & comfortable. 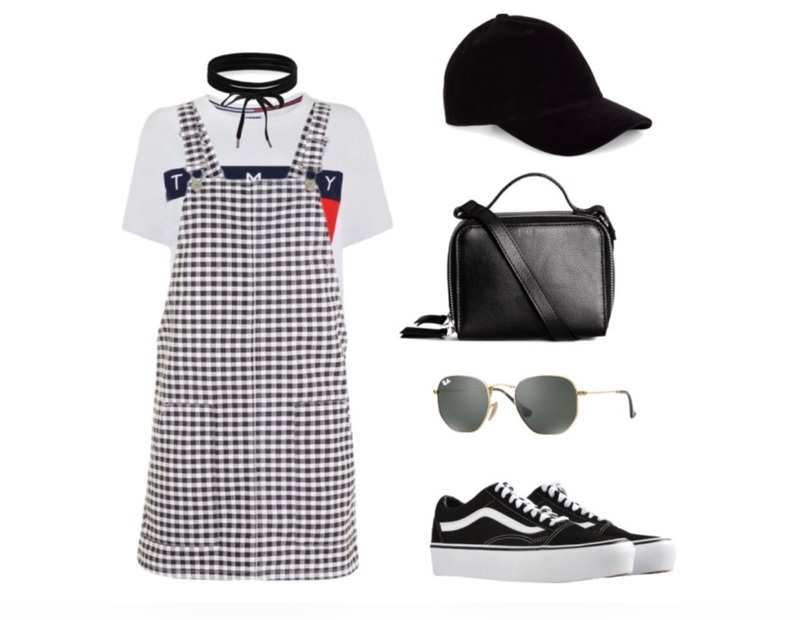 Gingham has become extremely popular this season. You could wear the dress, top, or bottoms with any type of accessory or shoes. My personal favorite is the gingham dress. You can pair it with a graphic tee and a pair of sneakers to be comfortable while walking around the big apple. Who wants to go to the beach? The ultimate black one piece is a staple to your closet this summer along with a pair of Ray Ban sunglasses. The alternative to a one piece is the Kiini bikini. This style has become very popular for women this year. Flaunt your beautiful bathing suit by pairing it with simple but striking accessories. While running errands you want to be comfortable. 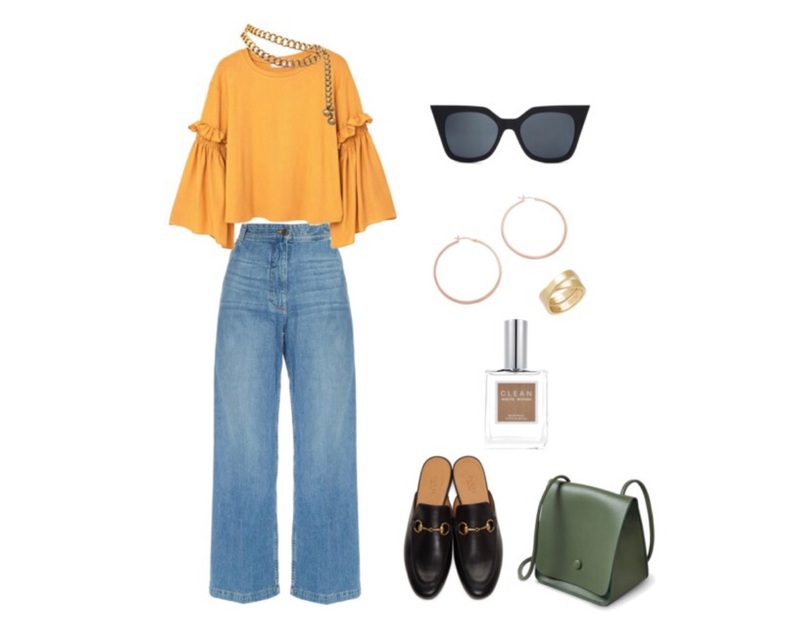 High waisted boyfriend jeans will be your new favorite jeans. Wearing these with a blouse or button up top and slip on flats will be the perfect outfit for running errands. I hope everyone enjoys the last couple of days of June!